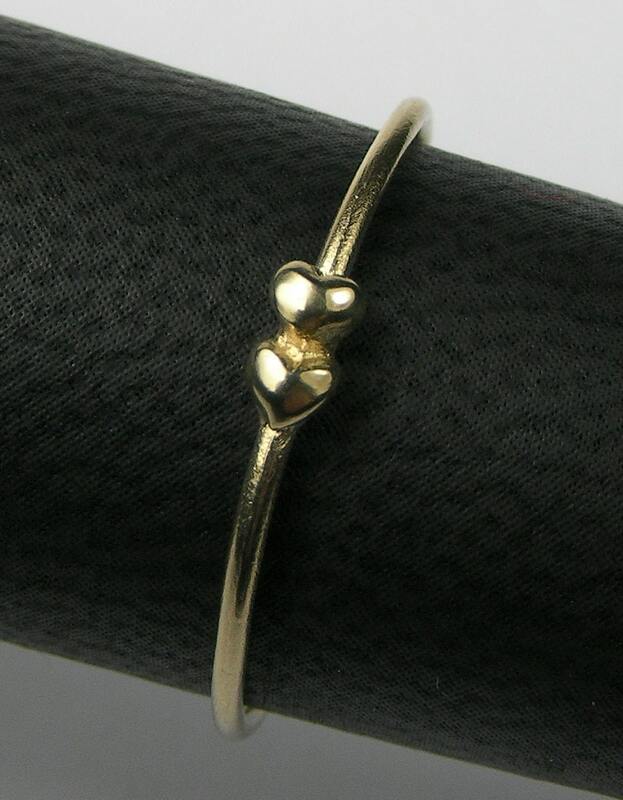 Two tiny gold hearts on a super thin gold band. 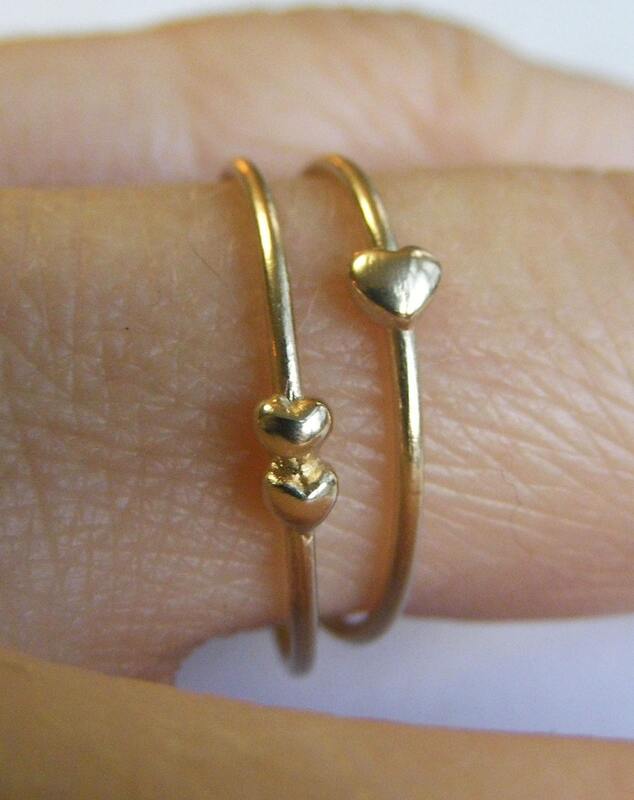 Cast in recycled 10k yellow gold and hand finished with care by me, these rings are great on their own or in a stack. 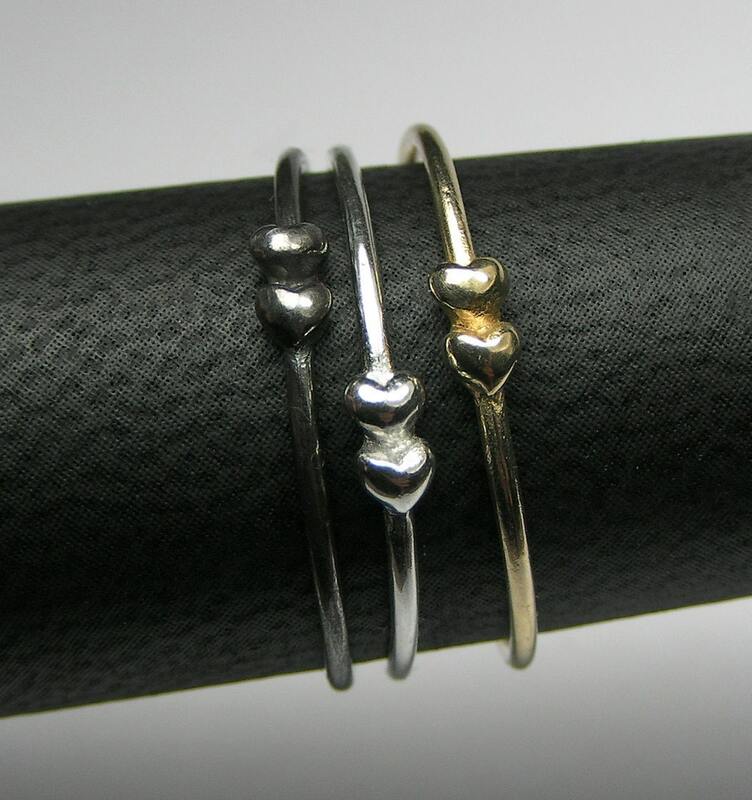 Can be stacked with single or with double gold & silver tiny heart rings, or any other stacking rings. Available in many sizes. Please let me know if you need a size not listed. 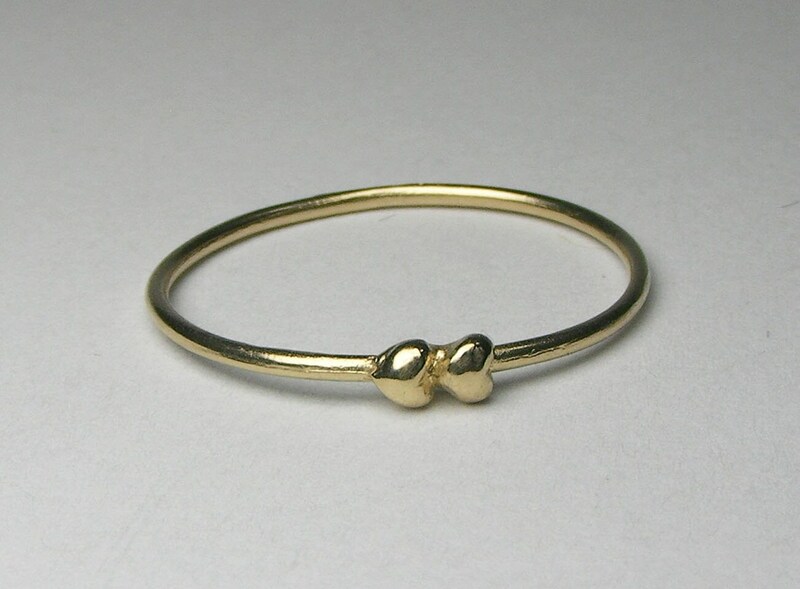 This listing is for 1 "gold tiny hearts ring".